Yves Pratte was born in Quebec City, Quebec, on March 7, 1925. He was the son of Garon Pratte and Georgine Rivard. After completing an LL.L. at Laval University in 1947, he did graduate work in tax and corporate law at the University of Toronto law school. He was called to the bar of Quebec in 1947 and practised law in Quebec City, where he later founded the firm of Pratte, Tremblay et Dechêne. From 1962 to 1965, he was dean of the Faculty of Law at Laval University, and from 1965 to 1968, he served as special legal counsel to two Quebec premiers, Jean Lesage and Daniel Johnson. He was also a member of the Royal Commission on Security from 1966 to 1968, the year he was named chairman of Air Canada, a position he held for seven years. 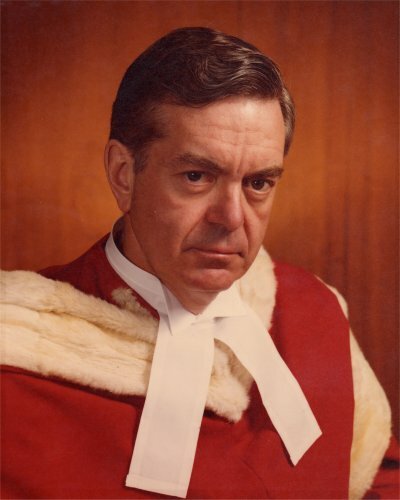 On October 1, 1977, he was appointed to the Supreme Court of Canada. He served on the Court for one year, resigning on June 30, 1979. Justice Pratte died on June 26, 1988, at the age of 63.